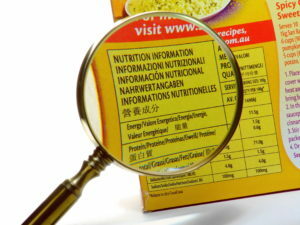 E-learning course: General and nutritional labeling of prepackaged foods according to the Central American regulation: introduction and application principles. Train those responsible for the application of the regulations of general labeling of pre-packaged foods (RTCA 67.01.07: 10) and nutritional labeling of pre-packaged foods (RTCA 64 01.60: 10) for human consumption in the review and approval of labels of food marketed in the Central American region. Understand the guidelines defined in the RTCA 67.01.07: 10 and in the RTCA 64 01.60: 10. To correctly apply the provisions established in the RTCA 67.01.07: 10 and in the RTCA 64 01.60: 10 regarding the revision and approval of pre-packaged food labels. The course will be carried out through a virtual platform where 30 people can attend simultaneously. The e-learning course lasts approximately 4 weeks, during which participants can access their classes, tasks, evaluations and discussions on their mobile phones, computers or laptops and / or tablets. The course will be aimed at government officials in the Central American Region reviewing and approving prepackaged food labels, as well as employees of companies in the food and beverage industry responsible for preparing and reviewing food labels. The e-learning course will be developed by the academic team of the National Center for Food Science and Technology (CITA) of the University of Costa Rica and supervised by the Nutrition and Food Technology Committee of ILSI Mesoamerica. From September 4 to October 2, 2017, the first e-learning course on food labeling was held, with the participation of 35 people, of which 15 were representatives of the governments of Guatemala, El Salvador, Panama, Mexico and Costa Rica; the other 20 students were representatives of the private company. On this occasion only 51% of the enrolled students approved the course, which has a minimum score of 80. From April 2 to May 7, 2018, the second group will be held for this course. There was an even greater participation than in the first group; 48 participants of which 25 are from the private company and 23 are government officials from Panama, Guatemala, El Salvador and Costa Rica.